There are two types of listing market in Japan. The first listing market is a normal one and includes the Main Market (First and Second Sections) of the Tokyo Stock Exchange, the JASDAQ market and the Mothers market. In 2017, 86 issuers were newly listed on the normal market. The second listing market is Tokyo Pro Market, which is operated by the Tokyo Stock Exchange. Only professional investors can invest in such Japanese stock exchanges. In 2017, seven issuers were newly listed on the Tokyo Pro Market. Most of the issuers in the Japanese IPO market are joint-stock corporations established under the laws of Japan. While large IPOs tend to include Rule 144A offerings in the United States and Regulation S offerings in other jurisdictions, Japanese domestic companies generally choose to list at home only, and not overseas. In some cases, Japanese listed companies complete their secondary listing on overseas markets such as the United States (NYSE and Nasdaq), Hong Kong and Singapore. Overseas companies that conduct global IPOs typically choose a public offering or private placement in Japan and are not listed in Japan. At present, only six overseas companies are listed on the Tokyo Stock Exchange. In 2017, the majority of newly listed companies were listed on JASDAQ or Mothers, both of which are operated by the Tokyo Stock Exchange as a market for venture and emerging companies. JASDAQ has two types of market: Standard or Growth. The Standard market is for growing companies with a certain business scale and performance and the Growth market is for companies with unique technologies or business models and abundant future growth potential. Mothers is for emerging companies that aim towards the First Section in the future. The First Section and Second Section of the Main Market of the Tokyo Stock Exchange are the central stock markets in Japan, especially for large and medium-sized companies; the two sections are distinguished by certain conditions such as the amount of market capitalisation. The Financial Services Agency of Japan (FSA) and the stock exchanges are responsible for rulemaking. The FSA has the authority to establish its regulations and guidelines related to disclosure requirements under the Financial Instruments and Exchange Act (FIEA) of Japan (Act No. 25 of 1948 (the FIEA)). Each stock exchange publishes certain rules and guidelines including the listing requirements and listing process, in accordance with which such stock exchange carries out listing examinations. If an issuer violates any of the disclosure requirements under the FIEA, the FSA, the local financial bureaus of the Ministry of Finance of Japan and the Securities and Exchange Surveillance Commission of Japan have the authority to enforce the FIEA and the regulations thereunder. If the rules of a stock exchange are violated, such stock exchange has the authority to enforce its rules. Issuers must be examined by the stock exchanges in order to obtain listing approval. Issuers must provide detailed information, such as an overview of the corporate group, overview of the business, organisational control system and distribution of shares to the stock exchanges. For example, the Tokyo Stock Exchange and Japan Exchange Regulation (to which the Tokyo Stock Exchange entrusts the listing examination) will measure the issuer’s conformity with the listing criteria set out under the Securities Listing Regulations; furthermore, it will carry out listing examinations particularly focusing on facilitating fair price formation and smooth securities trading and whether the relevant matter at issue is necessary and appropriate in light of the public interest or the protection of investors. The disclosure document is subject to review by the local finance bureau via preliminary consultation before filing. Upon an IPO, a securities registration statement must be filed and presented via the Electronic Disclosure for Investors’ NETwork system (EDINET). The contents of a securities registration statement mainly comprises a securities information section, in which the offering structure and the offered securities are described, and a corporate information section (including financial statements and audit reports). The form and substance of the securities registration statement are established by the Cabinet Office Ordinance on the Disclosure of Corporate Affairs, etc, of Companies (Ministry of Finance Ordinance No. 5 of 1973). In the case of a domestic corporation, a securities registration statement comprises four parts, as follows. The issuer must provide information concerning the terms and conditions of securities and the structure of the public offering, including an offering timetable, the names of underwriters and pricing information. The issuer must provide information about itself including an outline of its business, selected financial data, risk factors, analysis of balance sheets, business results and cash flows, corporate governance, material contracts, material facilities, research and development activities, management and financial statements. In a case where the issuer has issued the tracking stock the amount of dividends of which would be determined based on the amount of dividends of a certain subsidiary thereof, the issuer must provide the financial statements for the five fiscal years of such subsidiary. The issuer must disclose the past assignment or acquisition of the equity securities of the issuer by persons having a special interest in the issuer, an outline of past third-party allotment and the status of the shareholders. A securities registration statement also must contain the audited consolidated and non-consolidated financial statements (including their notes) for the most recent two fiscal years, together with relevant audit reports (and their quarterly consolidated or non-consolidated financial statements and their notes, if applicable) in Part II. In the case of a foreign corporation, a securities registration statement comprises four parts, as follows. The issuer must provide information concerning the terms and conditions of securities and the structure of the public offering, including the offering timetable, the names of underwriters and pricing information. The issuer must provide information about itself including an outline of the issuer’s business, selected financial data, risk factors, analysis of balance sheets, business results and cash flows, corporate governance, material contracts, material facilities, research and development activities, and management and financial statements; this part also includes a summary of the corporate legal system of the home country of the issuer. The issuer must provide information similar to information to be included in Part II about the guarantor of the securities or any other equivalent entity (the guarantor) if the securities are guaranteed by another entity or there are any other entities that would be likely to materially affect the investment decision in relation to the securities. Unless the three-year audited financial statements are included in Part II and Part III, the recent five-year financial statements (including their footnotes) of the issuer and the guarantor (other than those contained in Part II and Part III) must generally be included in this section; this five-year financial statements’ requirement is exempted for issuers and the guarantors who disclose the three-year audited financial statements in Part II and Part III. With regard to the financial statements of the issuer (in the case of a foreign corporation) and the guarantor, if any, a securities registration statement must contain their audited consolidated financial statements (including their notes) for the two most recent fiscal years, together with the relevant audit reports, (and their semi-annual financial statements and their notes, if applicable) in Part II and Part III and their non-audited or audited consolidated financial statements for the three fiscal years before the said two years in Part IV. Alternatively, the issuer and the guarantor, if any, can include their audited consolidated financial statements for the three most recent fiscal years in Part II and Part III, as the case may be, where no additional financial statements need to be included in Part IV. The FIEA prohibits an issuer from soliciting investors before filing a securities registration statement. This means that the publicity and contact with investors can be made only to the extent that such activities do not fall within ‘solicitation’. The FSA’s guidelines provide that any dissemination of information relating to an issuer of securities (excluding any information relating to a primary or secondary public offering of securities issued or to be issued by such issuer) made no later than one month before the filing date of the securities registration statement does not constitute ‘solicitation’, and pre-IPO roadshows are usually conducted on the basis of this safe-harbour rule. After filing a securities registration statement, the issuer can solicit investors; however, in order to mitigate civil liabilities risk, it is normal practice that the information to be provided in the marketing process is limited to that included in the securities registration statement, the prospectus (the contents of which are generally identical to the securities registration statement) and the roadshow materials that are prepared, based on the information included in the securities registration statement. If there is a breach of the disclosure requirements under the FIEA, an issuer and certain parties or individuals related thereto may be subject to administrative or criminal sanctions. Administrative sanctions include suspension of permissions resulting from registration of the securities registration statement and fines. It should also be noted that any false or misleading statements in the securities registration statement, the prospectus and any other offering materials may result in civil liabilities. A listing on the First Section or the Second Section of the Tokyo Stock Exchange generally takes three months from the official application to listing approval (but a considerable amount of time is also required for the preliminary application process). The underwriters conduct their due diligence concurrently with the listing examination process. A securities registration statement is prepared based on a listing application document called an ichi-no-bu, the contents of which are identical to the securities registration statement except that it does not include the securities information section. The draft securities registration statement is subject to the local finance bureau’s review process, which usually commences approximately 45 days before the filing date. Once an issuer obtains approval for listing, it launches the IPO by filing a securities registration statement. After the pre-marketing period, the price range is determined and the book-building process commences. The IPO price is determined in the light of investors’ demands obtained through the book-building process. The closing of the IPO and listing occurs approximately one week after the pricing date. It typically takes one month from the launch of the IPO to the actual listing. The issuer must pay the listing examination fee and the initial listing fee to the relevant stock exchange. For example, in the case of a listing by a domestic company on the First Section of the Tokyo Stock Exchange, the listing examination fee (¥4 million) and the initial listing fee (¥15 million) is charged by the Tokyo Stock Exchange. In addition, fees will be incurred according to the number of shares offered by public offering and the number of shares offered by secondary offering. Also, even after listing, the issuer must pay listing maintenance costs, the amount of which varies according to its market capitalisation. An issuer is also required to pay fees to its auditors, listing adviser and shareholder services agent. While counsel are not typically retained in the case of domestic IPOs, counsel fees should be paid in the case of global IPOs and foreign issuers’ IPOs. Printing costs, including those related to preparation of a securities registration statement and the printing of prospectuses, should be taken into account. A foreign issuer must appoint an agent residing in Japan in connection with filing the disclosure documents under the FIEA. It is typical that the Japanese counsel to the issuer acts as this agent and, in such a case, fees related to this are usually included in the fees for the issuer’s Japanese counsel. whether the issuer group has established a suitable accounting system for the protection of investors. In addition, under the listing rules of the Tokyo Stock Exchange, domestic issuers are required to have at least one independent officer. Such independent officer is required to be an outside director or outside corporate auditor who is unlikely to have a conflict of interest with the shareholders of the relevant company. The listing rules also require domestic issuers to make efforts to have at least one director who meets the requirements for an independent officer (independent director). Further, a recent amendment to the listing rules of the Tokyo Stock Exchange, which became effective as of 1 June 2015, includes certain changes related to corporate governance structure of listed companies. Following the effectiveness of the amendment, if a domestic issuer does not have two or more independent directors, it is required to publicly explain why it does not have two or more independent directors. Stock exchanges require that issuers submit a corporate governance report, which will become publicly available together with the ichi-no-bu. The corporate governance report must cover, inter alia, basic policies regarding the corporate governance, capital structure, basic information of the issuer, corporate governance structure, actions taken against shareholders or other relevant parties, and information on the internal control system and anti-takeover devices. Under the FIEA, a listed company is required to file an internal control report with the local finance bureau, evaluating the effectiveness of its internal controls and those of its group for each business year. In principle, an internal control report must receive audit certification by a certified public accountant or an auditing firm. In this connection, the FIEA was amended in 2014 to allow a newly listed company with capital of less than ¥10 billion or total debt of less than ¥100 billion to be exempt from the requirement to receive audit certification for three years after the listing. A typical anti-takeover device is a poison pill, which includes issuance of stock acquisition rights that can be exercised only by parties other than the hostile acquirer. When introducing and renewing anti-takeover devices, the Tokyo Stock Exchange considers whether companies consider the nature of the shareholders’ rights and the exercise thereof in the listing examination process. Also, the Tokyo Stock Exchange checks whether companies consider the sufficiency of disclosure, transparency, and the effect on the secondary market. Like domestic issuers, foreign issuers are generally required to prepare disclosure documents (including a securities registration statement) in Japanese. A foreign issuer who meets certain requirements will, however, be able to prepare disclosure documents in English provided that a summary of the disclosure document is prepared in Japanese. Even in the case of foreign issuers, the FIEA and the regulations thereunder generally require that financial statements be contained in any disclosure documents, including a securities registration statement, and they should be prepared in accordance with the general accepted accounting principles of Japan or international financial reporting standards. In addition, a foreign issuer may, subject to regulatory approval, use its financial statements disclosed in its home country or any third country. A foreign issuer can rely on private placement exemptions. There are usually two types of private placement exemption (ie, private placement to a small number of investors and private placement to qualified institutional investors) available for a foreign issuer. In the case of private placement to a small number of investors, a foreign issuer may solicit up to 49 investors. In the case of private placement to qualified institutional investors, solicitation must be made to qualified institutional investors only, and investors are subject to the selling restriction that they may only sell shares to qualified institutional investors. 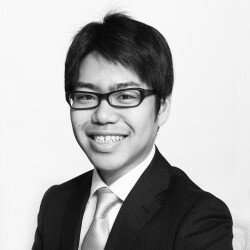 A foreign issuer should note that it will be required to appoint its agent resident in Japan when it relies on the exemption of private placement to qualified institutional investors, so it is more usual that foreign issuers rely on the exemption of private placement to a small number of investors. An investor can seek redress by filing a suit against an issuer, an underwriter or another party with a court of competent jurisdiction in Japan. Because there are no sufficient precedents, it is not clear whether non-judicial resolution would be feasible. The Act on Special Provisions of Civil Court Procedures for Collective Recovery of Property Damage of Consumers of Japan (Act No. 96 of 2013), which became effective as of 1 October 2016, has introduced a class action system to Japan. While this act does not cover claims of investors under the FIEA, investors will be entitled to initiate class actions as long as they have a tort claim under the Civil Code of Japan (Act No. 89 of 1896). If a disclosure document contains any untrue statement of material fact, or omits to state a material fact necessary in order to make the statements therein, in the light of the circumstances in which they were made, not misleading and an investor incurs loss thereby, such investor may have a claim against the issuer, underwriter or other parties (such as auditors) under the FIEA and the Civil Code. Claims under the FIEA are more beneficial for investors because it is subject to a reversed burden of proof, and presumption of an amount of damages. An investor’s remedy is limited to monetary compensation for the loss it has incurred. Some recent IPOs were the focus of public criticism as a result of certain problems such as inappropriate transactions made by the management of the IPO company and large changes to projections immediately after the IPO. In response to this, the Tokyo Stock Exchange has tightened the IPO examination procedure. More specifically, the Tokyo Stock Exchange has strengthened its listing examination procedures in connection with inappropriate transactions by management, held seminars on the process for the management of companies applying for listing and requested that disclosure of preconditions be made upon an IPO, and should appropriately include assumptions and grounds for projections. In addition, in recent years the number of cases where companies that conducted management buyouts and were delisted from the stock exchange for several years applied to be relisted on the stock exchange has increased. In this connection, the Tokyo Stock Exchange has announced its policies on the examination process of such relisting cases after a management buyout, under which the examination is to be made focusing on (i) the relevance between a management buyout and a relisting, (ii) the appropriate allocation of a premium by implementing a management buyout, and (iii) the rationality of implementing a management buyout. The Tokyo Stock Exchange has also announced that it will consider the corporate governance structure at the time of the relisting after the management buyout, and the explanation and disclosure of the background to the relisting after the management buyout. 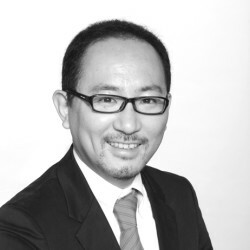 Nishimura & Asahi is one of Japan’s premier full-service law firms, covering all aspects of domestic and international business and corporate activity. The firm currently has more than 500 Japanese and foreign lawyers and employs over 500 support staff, including tax accountants, and one of the largest teams of paralegals in Japan.